Culture Hacking a way for anyone at any level to shift the culture. As Culture Strategist for Zappos.com and the manager of Zappos Insights, Robert learned how to create change fast by using the power of hacking for good and applying them to culture. Robert leaves the group with three high leverage tools that can be used immediately to create long-term change. Audiences are excited to become culture hackers and often report making changes the very next day. Engaged employees are productive, efficient, and have a great time. This means low turnover, and highly motivated employees you don’t have to micro manage. Values-based companies have employees who manage and motivate themselves. Robert shares stories of the strength of the core values at Zappos.com (A company that became the #6 Best Place to Work in America and #1 in Customer Service), then shares the science behind why they work so well. Once you learn the secrets behind how values work, you will know how to shape culture. Robert gives the group a process to use in discovering and then implementing the values across the organization. Is your team overwhelmed? Are there too many priorities, to-do’s and emails? Everyone is dealing with this and there is a way out. 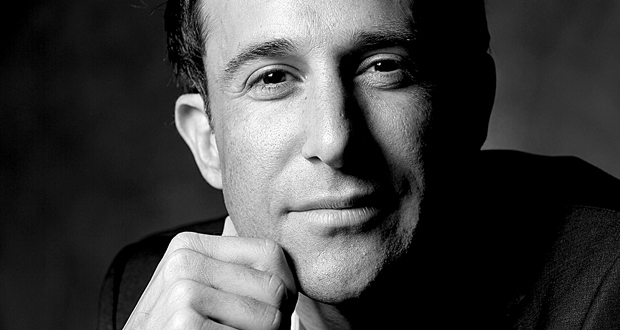 From mindsets to techniques to meeting styles, Robert Richman can immediately upgrade both your culture and productivity within just a few hours. Robert has worked with companies such as Intuit, CapitalOne, and Boston Scientific on their agile implementations and has discovered what it takes to align teams. Robert Richman is a culture strategist and was the co-creator of Zappos Insights, an innovative program focused on educating companies on the secrets behind Zappos’ amazing employee culture. Robert built Zappos Insights from a small website to a thriving multi-million dollar business teaching over 25,000 students per year. Through his work, Robert has been helpful for improving the employee culture at hundreds of companies. “I was simply blown away. I read the Culture Blueprint and it transformed the way I think about my companies. I brought Robert in for a speech, and he gave us an experience that became a catalyst moment. The teams not only saw the importance of a strong culture, they are now excited about it and realize it’s everyone’s responsibility, not just mine as CEO. Any company could benefit from Robert’s wisdom. However, if you’re a growing company, it’s imperative that you speak with him immediately to harness the chaos, catalyze the vision, and stabilize for the future.” – James Wallace, CEO Scorpio Media.